SKU: cm-2b05. 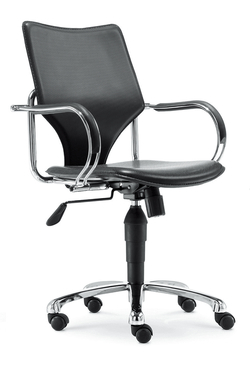 Category: Office Chair. 1 , Steel : Φ25 * 1.2mm tube, high-quality A3 steel, surface plating , stylish , elegant, crisp and concise. 2 , man-made sheet : curved wooden plate with a thickness of 12MM, the plate can withstand 102KG impact test 2 times the destructive impact shock test 136KG 2 times , reaching U.S. BIFMA5.1 testing standards ; are in line with industry standards QB/T2280 by moisture, corrosion, pest control chemical treatment. 3 , Screw : After a cold and hard , computer paint handling . Lo teeth spray paint anti- retreat , long-term use will not loosen the screws back, does not beep . 4 , Chassis: can fit the general population , 30 million times the pressure back through the front and rear tilt test . Certification by the American BIFMA5.1. 5, the pressure lever : 360 degrees of rotation a test cycle , the test 120,000 times ; roundtrip lift 100,000 times ; through the U.S. BIFMA5.1 certification , SGS certification. 6 , Ipomoea feet : A3 steel , strong beautiful, can withstand 1136KG stress tests of American BIFMA5.1 testing standards. 7, PU casters : After 10 million times rolling tests of American BIFMA5.1 testing standards. 8 , armrests : Armrest surface glue help ; simple and beautiful. 9 , Foam : High density foam molding cotton ; has a breathable, good elasticity , easy to change , aging, according to a specially designed body posture . Ergonomic, odorless and harmless washable advantages . 10 Leather : with a thickness of 1.5mm PVC crust , through tension, elasticity , resistance to scratching , bleaching , abrasion tests.